Winner of the 2011 Ferrol Sams Award for Fiction Travel to Sequoyah, Georgia, to meet Early and Ivey Willingham. Early is a lifelong underachiever who occasionally smokes marijuana, drinks malt liquor, and watches the world go by. Ivey is a modern day prophet who sees dead relatives and angels in her sleep. Together they own Camp Redemption, a failing Bible camp in the North Georgia mountains. After they are forced to close the camp, Early and Ivey begin to attract a motley collection of people in trouble. First to arrive is Jesús Jimenez, an abused runaway from Apalachicola, Florida. Then Millie Donovan arrives, children in tow. Charnell Jackson—an out-of-luck lawyer on the dodge—is next on the scene, followed by Isobel Jimenez—Jesús’ mother—and her other children. Hugh Don Monfort, the local bootlegger, is the final arrival. Trouble looms as these travelers settle into their new home. Gilla Newman and the deacons at the Washed in the Blood and the Fire Rapture Preparation Temple covet the camp, and they intend to have it. Juan Jimenez is searching for his fugitive family, and he means to have them back. Charnell Jackson is sought by a variety of creditors, Millie Donovan is looking for a second chance at life, and Hugh Don Monfort is just one step ahead of the law. 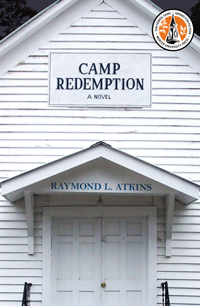 All these threads converge on a frigid morning in high Georgia, and from that moment forward, nothing is the same at Camp Redemption.